Tubing, broomball on the frozen lake, snowshoeing, cross country skiing, bonding with friends, and an amazing time with Jesus – that’s what to expect at this winter experience! You’ll be shuttled over the snow two miles into camp in a van equipped with tracks and skis. 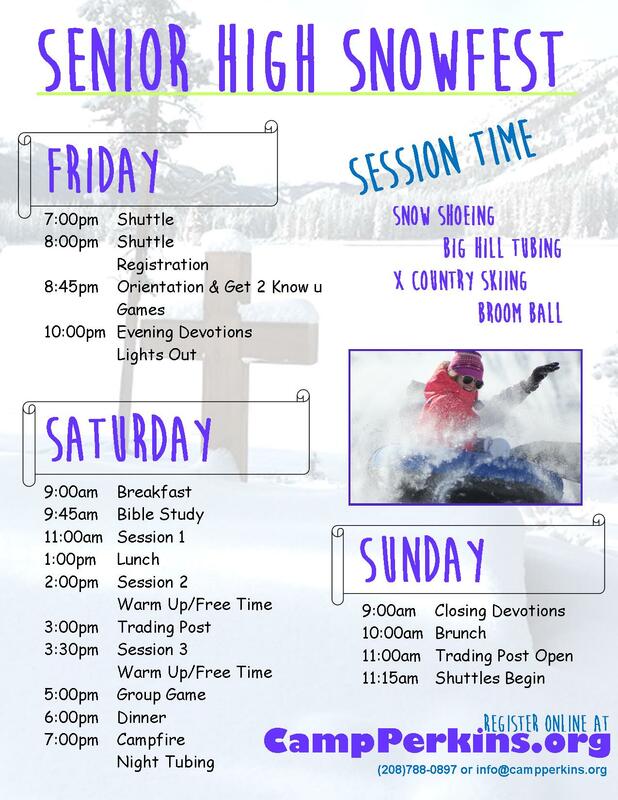 Enjoy time with friends worshipping, studying God’s Word, sitting by a warm fire, and playing in the snow in an incredible and secluded winter wonderland. ​​Retreats start after dinner on Friday and end before lunch on Sunday. ​Jr High youth must register with a youth group. ​What to bring: sleeping bag, pillow, towel, toiletries, Bible, water bottle, SNOW pants and outdoor winter clothes! Sr High youth may register individually or with a youth group.